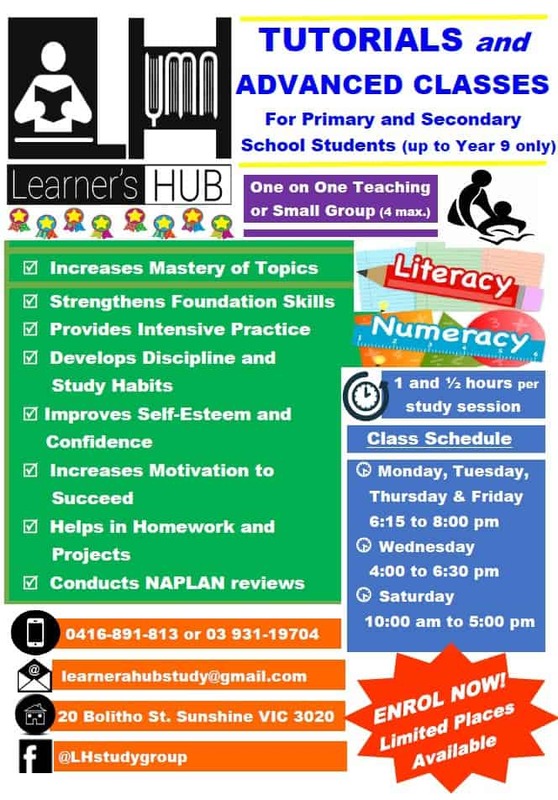 Learner’s Hub is one of the leading learning centres / tuition centres in Melbourne’s Western Suburb that provides personalised teaching plans for primary and secondary students (up to year 9). We offer one-on-one tutoring as well as small – sized classes (maximum of 5) per study session. Our mission is to prepare students for academic and life-long success based upon their unique needs and goals. 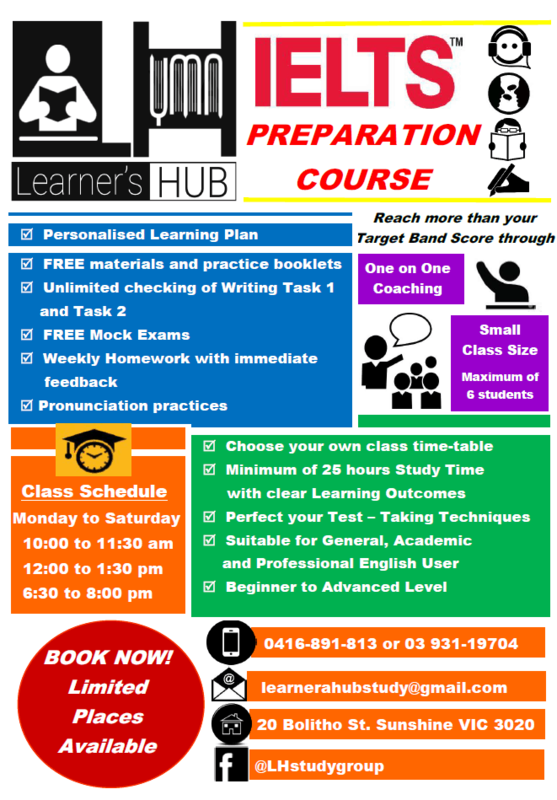 We also have IELTS Preparation Classes for international students or for those who need assistance in getting the required over-all band scores for their VISAs.